Did this shop at Walmart on December 30, 2011. The NeoCitran and Glade Candles were on clearance! Wish I had of had more Glade products, I love free stuff and I love candles! 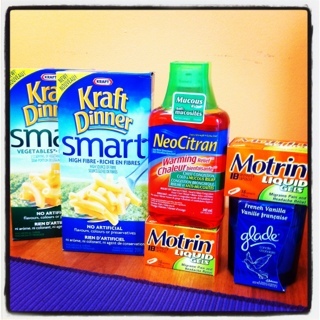 This entry was posted in canadian coupons, coupons, free, walmart and tagged canadian coupons, coupons, free, walmart on January 3, 2012 by Courtnie. Yes it is here! 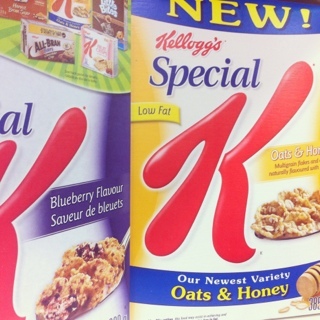 FREE SPECIAL K DAY! This is the only day your coupons are valid on, so use them while you can. The coupon is ONLY valid on Oats & Honey and Blueberry Flavours. This coupon is no longer available, I ordered it back in November from Websaver.ca. I stopped into Superstore on my way to work (only thing open before 8am) and was sure happy I did! I got the last box of Oats and Honey and there were only about 5 boxes of Blueberry left. And it wasn’t even 7:30am! I hope some of the other stores around town are better stocked. I was a little disappointed to see that the free yoga mat offer is not available on these boxes. I can see why it’s not, guess I just got too excited when they included a letter about the offer with the coupon. If it sounds too good to be true, it probably is. The Blueberry box does say it as $5 in coupons, not sure what they are yet though. But I got my free cereal. Now I just need some milk. 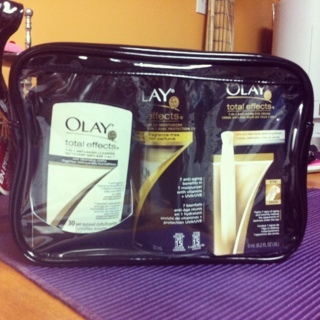 This entry was posted in canadian coupons, free, free product coupon, superstore and tagged canadian coupons, free, free product coupon, superstore on January 3, 2012 by Courtnie.